Local Southport ladies and home care workers Michelle Dowling, 49 and Diane Norgain 50, work for Southport-based Caremark (Sefton). 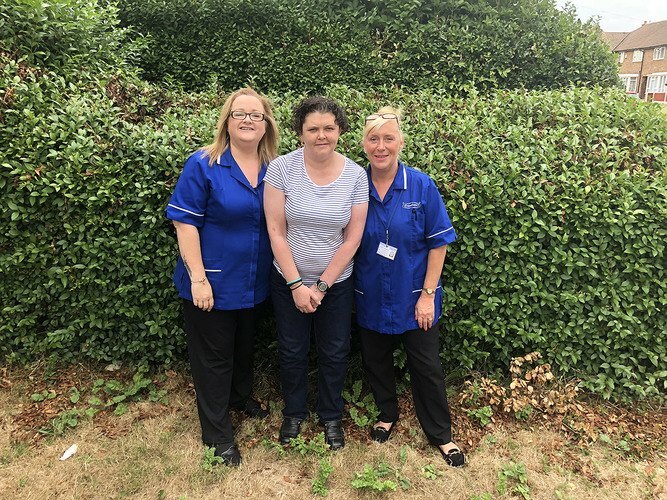 Their client Sharon has been supported by the caring duo since 2017 and together Michelle and Diane have achieved a dramatic turnaround to their client’s life. Ex-military servicewoman Sharon has struggled with PTSD for 17 years and until Caremark came along had lost all hope of finding any carers who truly understood her needs. However, Sharon was so impressed with the amazing care she received from Michelle and Diane that she wrote a letter of heartfelt thanks to Caremark (Sefton). In her letter she said: “It’s taken a long time for me to find a company I can fully trust but I can 100% say that I’ve found that with Caremark. Michelle and Diane are wonderful and I don’t know what I would do without them. “They are so patient and willing to accommodate the regimes and routines which help me cope with everyday life. “Caremark will bend over backwards to help you and I feel relieved because I know I’m not going to be let down. Michelle spends a few hours each week with Sharon, helping her with housework, running errands and driving her to the beach for their much-loved dog walks. The local authority are thrilled with the positive change they have witnessed in Sharon since starting her regular visits from the Caremark duo. “With our encouragement, Sharon has come on in leaps and bounds recently and the change hasn’t gone unnoticed,” Michelle explained. “Because of Sharon’s condition, she usually only feels comfortable with a set routine, but with our help, she’s out and about more than ever! During Caremark (Sefton)’s fifth anniversary celebration this year, Sharon presented Michelle and Diane with their awards, together with a bouquet of flowers. David Richards, Managing Director of (Sefton), thanked the ladies for their dedication and hard work. Commenting on their wonderful work, he said: “Running a business in the care industry is an extremely rewarding thing to do, especially when the hard work we do is of benefit to those in the community.